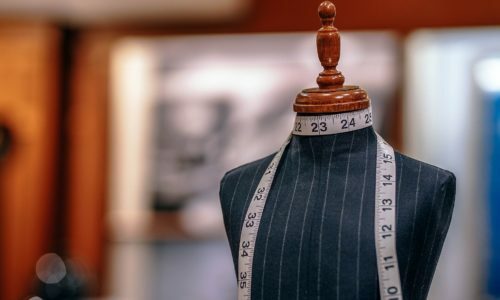 The clothing industry is ever-changing, from season to season, year to year, it is obvious that the way we dress and the garments we choose tend to change over time. An example of this would be the fact jeans seem to have gone from baggy and comfortable to skin tight in the last 5 years alone. Another example would be the T-shirt industry, which has drastically changed since its introduction in the 1800’s. More on that topic can be seen in our article “The Evolution of the T-shirt“. 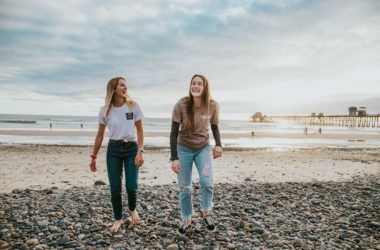 Now though in 2018, innovation in the clothing industry has gone to a completely new level, with new and existing companies exploring a whole new way of looking at how we wear clothes. 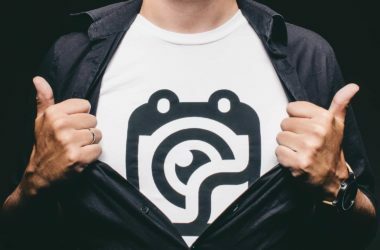 This is the reason we at Garment Printing decided to write this article, to show you 4 new innovations within the clothing industry that are not only the next level innovation but could genuinely change the industry forever. We have all had that tragic moment when we attempt to put on our favourite hoodie after a wash and it just doesn’t fit anymore, or we looked in the mirror and there, right in the middle is a stain that we know is now permanently part of the hoodie’s design. Luckily for us, we have the Tidball brothers. Nick and Steve Tidball started their own clothing company VOLLEBAK in 2016. They use both science and technology to create the most advanced sports gear available on the market. This brings us to one of their latest products, the 100 Year Hoodie. Best described using one quote from VOLLEBAKs website “as soft as your favourite cotton sweater, but built from the same materials found in spacesuits, body armour and aircraft carriers”. This hoodie is crazy! In their demonstration video, they drag the hoodie behind a speedboat and then put a blowtorch to it to dry the hoodie off. This hoodie is guaranteed to outlive us all, plus with our variety of Printing Techniques, we can personalise your new 100-year hoodie for you! Yes, you did read that correctly. This is the most advanced version of silly string we have ever seen! Brought to us by Dr Manel Torres, Frabrican Ltd does exactly what you would expect. You spray on somebody’s body, and it turns into clothes (to put it simply). The actual science is “Fabrican cross-links fibres which adhere to each other and to the surface sprayed to create an instant non-woven fabric“. This new style of clothes production has taken the industry by storm. Initially designed for the fashion industry, Fabric in a Can is now used in a variety of industries, from the healthcare industry where it is used for bandages and casts, to the automotive sector where it is used to apply non-woven fabrics to the inside of cars. Where will be the limit for Fabrican? By now we all know that technology has become a pivotal part of everyday life. It’s only a matter of time before the film I, Robot becomes a reality and the robots take over. Technology is now joining the clothing world, with Vetements leading the way by releasing an AR hoodie for their summer collection to be released in 2019. When the hoodie is scanned with a phone, the cartoon mascots circle around the hoodie and the logo changes from the original Georgian text to the Vetements logo. This absolutely crazy design is like nothing ever seen before in the clothing industry. With its use of technology and pure originality makes us ask only one question … is this the future of the fashion industry? Despite our head office being located in the centre of Barcelona, a number of our team admit they love to go skiing. The only downside as you might already know is the Barcelona weather doesn’t usually follow us to the slopes. It is a well-known fact, where there is snow there is a high probability of cold temperatures, and in the 2018 Winter Olympics in Pyeongchang, South Korea there were very cold temperatures (around 15 degrees Fahrenheit). Luckily for Team USA, they had Ralph Lauren designing their outfits for the opening and closing ceremonies. Ralph Lauren bonded strips of electronic, heat conducting metallic ink made of silver and carbon to the athletes’ outfits for the ceremony. This acted as an electric blanket and kept them all nice and snug while the British were shivering on the other side (Typical). What made it even more impressive is that Ralph Lauren managed to design the ink in the shape of the American flag.